Border Patrol agents remain among the most-assaulted of all federal law enforcement officers, Border Patrol officials have repeatedly asserted. These assaults range from simple scuffles to avoid arrests, to gunshots, assaults with motor vehicles, and in at least six occasions in the past year, assaults by migrants throwing rocks. A recent report from U.S. Customs and Border Protection revealed the number of assault incidents against agents increased 18 percent during the first 11 months of Fiscal Year 2018. During a five-day period beginning on October 11, migrants assaulted three El Centro Sector Border Patrol agents. In one of those assaults, agents patrolling near the Gran Plaza Outlets in Calexico, California, encountered a group of individuals throwing rocks from across the border. None of the agents sustained injuries during this attack and the attackers fled before Mexican police arrived on scene. Two Border Patrol agents assigned to the Rio Grande Valley Sector came under rock attack while they attempted to arrest a group of 19 illegal aliens along the banks of the river that separates Texas and Mexico. The agents encountered a group of about 30 migrants who illegally crossed the river. Some of the migrants swam back across the river and began throwing rocks at the agents as they arrested the remaining 19 migrants. At least one of the rocks struck a Border Patrol agent in the shoulder. Rio Grande Valley Sector agents attempted to rescue a pregnant migrant who experienced back pain after illegally crossing the border with a group of illegal aliens. As the agents began medical treatment on the woman, a migrant began throwing rocks from the Progresso Port of Entry bridge. The agents moved the woman to safety and avoided injury from the attack. The attacker fled back to Mexico where he escaped apprehension. Brownsville Station Border Patrol agents came under a rock attack when a group of smugglers attempted to stop the agents from seizing 87 pounds of marijuana. The agents received a call about a drug smuggling attempt in progress. 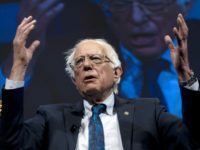 The caller said migrants were illegally climbing the border barrier with what appeared to be bundles of drugs, officials reported. As the agents moved in, the smugglers fled back across the river and began throwing rocks at the agents as they seized the marijuana. The agents avoided injury during the attack. During a one-week period in April 2018, Rio Grande Valley Sector officials reported the migrants assaulted four Border Patrol agents. During a patrol along the Rio Grande River, a riverine agent became the target of a rock-assault. Because of the speed of the moving boat, this type of assault could be particularly dangerous. Fortunately, the rock struck the agents in the chest where his ballistic vest protected him from injury. A Honduran migrant assaulted a Tucson Sector Border Patrol agent by bashing his head against a rock during an arrest. 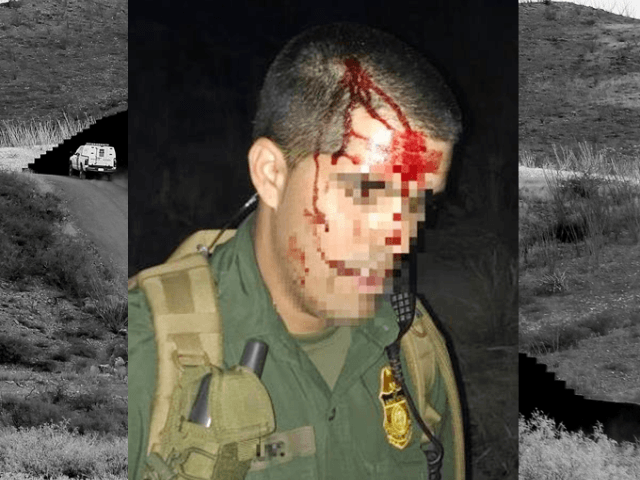 The 25-year-old from Honduras assaulted a Tucson Sector Border Patrol agent to avoid arrest after he illegally crossed the Mexican border into Arizona. During the fight, the Honduran national allegedly beat the agent’s head against a rock causing the agent to bleed profusely, according to CBP officials. After other agents subdued the attacking migrant, the injured agent provided medical assistance to the slightly injured migrant despite his own profuse bleeding. A CBP Air and Marine Operations helicopter transported the wounded agent to emergency medical technicians who treated his injury and then transported him to a local hospital. Individuals in Mexico assaulted a San Diego Sector agent patrolling on an ATV near the San Ysidro Port of Entry. The attacker struck the Border Patrol agent in the chest with a “dodge ball-size rock” that knocked the agent off of the ATV. The incident occurred during hours of darkness as migrants attempted to exploit foggy conditions to move across the international boundary. The force of the impact forced the ATV to flip over on top of the agent, officials explained. The agent suffered breathing difficulties, dizziness, and possible broken ribs from the attack.